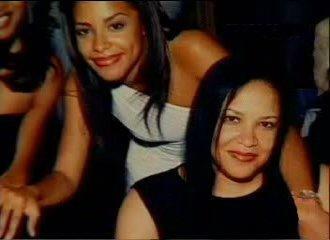 Aaliyah with her mom, Diane. . Wallpaper and background images in the Aaliyah club tagged: aaliyah babygirl appearances. This Aaliyah photo contains portrait, headshot, and closeup. There might also be attractiveness, appeal, and hotness.